This was the list of all the Samsung mobiles price in Nepal. A pretty long list, we know. It is difficult to choose the best smartphone from this list but we will try. On the premium range, though the Galaxy S9 is the latest flagship from Samsung and is a fantastic smartphone, we like the S8 as it is still comparable in terms of performance and design to the S9 and its price is a little more affordable. Unlike most manufacturers that tend to focus the market with a single price segment in mind, Samsung produces some of the cheapest and some of the most expensive handset available in Nepal. Here, we have a Samsung phone that costs around Rs. 7K and a phone that costs around Rs. 100K+. And all of them sell in good amount. The ubiquity of Samsung phones means that there are so many options to choose from. And those options alone can make you giddy. So if you are looking to buy a Samsung phone, we have compiled a list of Samsung mobiles price in Nepal with the intent of giving you a better insight into them. The following list contains all the Samsung smartphones in Nepal that are currently on sale along with the details of available Samsung service centers in Nepal. Galaxy A30 comes packing an FHD+ Super AMOLED display. 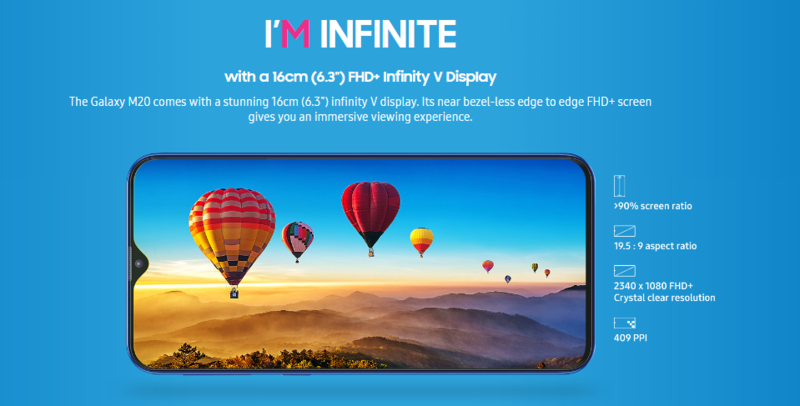 This is the same display that was used in the Galaxy A50, and it will be the best display in this price category without question. Samsung Galaxy A30 packs an Exynos 7904 inside. This is a lower midrange processor from Samsung like the Snapdragon 630. So, I don’t expect this to be a gaming machine but normal tasks like calling, texting, navigating, etc will be a breeze. The dual camera setup combines a 16MP primary lens with a 5MP ultra-wide lens. This camera setup looks okay on paper but we will have to test it out ourselves to give our verdict. There’s also a capacitive fingerprint sensor at the back of this phone. 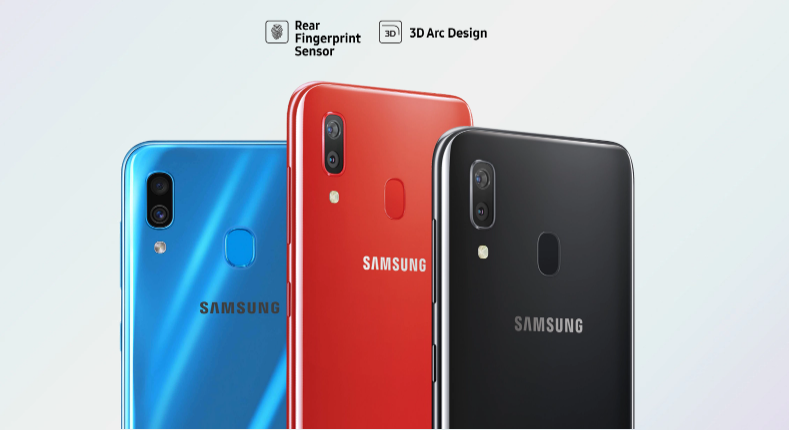 Samsung Galaxy A50 is the newest member of the fully redesigned Galaxy A series of smartphones this year. Galaxy A50 comes packing an FHD+ Super AMOLED display. Inside, this phone will be powered by a 10nm Exynos 9610 chipset which performs slightly better than the Snapdragon 660. This means no problem with day to day tasks like calling, texting, navigating, etc. You’ll also be able to game on this phone a little. That processor is paired with a 4GB RAM. This means no problem with multitasking too. You have 64GB internal storage which is more than adequate for most people. The triple camera setup combines a 25MP primary lens, an 8MP ultrawide lens, and a 5MP depth sensor. This looks like a powerful camera on paper but we will have to test it out ourselves to give our verdict. This phone has other cool features like an under-display fingerprint sensor and IP68 water resistance. Samsung Galaxy S10 comes with a beautiful 6.1 inches infinity Dynamic AMOLED display that is probably the best screen that you’ll see in the smartphones of 2019. It has over 90% screen to body ratio and the display comes with a hole at the top right corner for the selfie camera. The bezels are smaller. To sum up, the device is gorgeous. At the back, as we saw in the leaks, there’s a horizontal triple camera setup. 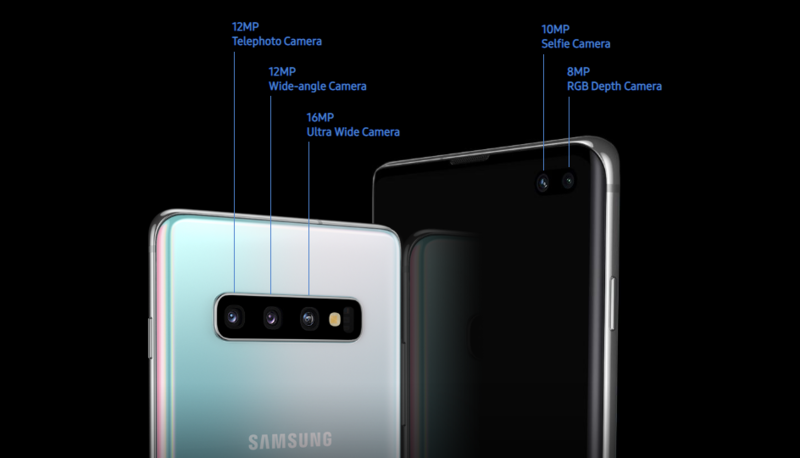 One is a regular 12MP f/1.5 – f/2.4 aperture primary dual-aperture lens similar to the one we saw on the Galaxy S9 and the S9 Plus. Another is a telephoto lens. And the third one is a 16MP f/2.2 ultrawide lens. Samsung Galaxy S10 Plus is not that different from the Galaxy S10. It has 6.4 inches of the same dynamic AMOLED display found on the Galaxy S10 and it looks gorgeous too. This display supports HDR10 too, like the S10 and it has a cutout on the screen instead of the notch. But the cutout is not circular, it is oval and it houses 2 front facing selfie cameras, one regular and one wide-angle. At the back, there is no difference between the S10 and the S10 Plus in terms of the camera setup. It’s the exact same triple lens camera setup. The same ultrasonic fingerprint sensor resides under the screen. However, the 512GB version of the Galaxy S10 Plus comes with a Ceramic Finish instead of the glass. And all the variants fo the S10 Plus have a larger 4100mAh battery. 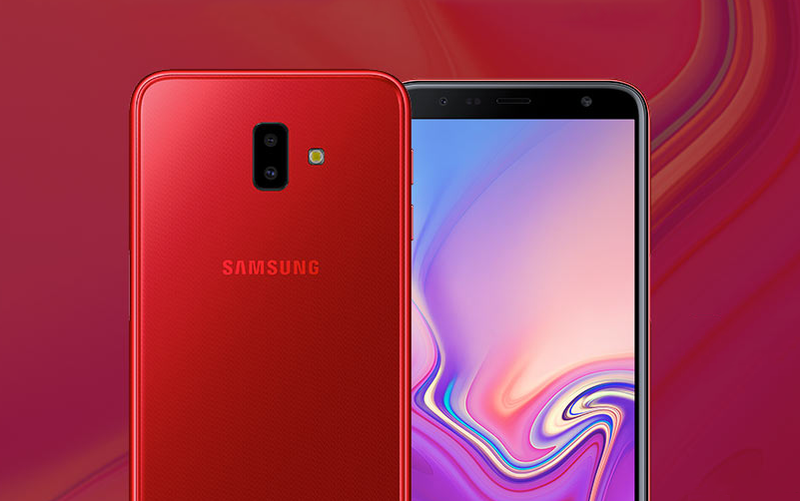 Samsung Galaxy S10e is a different kind of phone compared to its siblings – the Galaxy S10 and the Galaxy S10 Plus. And it’s my favorite phone of the 3. It doesn’t have the fancy new ultrasonic fingerprint sensor; it has traditional, faster, fingerprint sensor embedded into the power button. It doesn’t have triple rear cameras but comes with dual setup. It does come with the reverse wireless charging feature though. It’s my favorite mainly because of its small 5.8 inch form factor which is ideal for one-handed use. It has the same processor and storage capacity as its larger siblings and the RAM is 6GB which is more than adequate for any task you may throw at it. The design of the Galaxy M20 is nearly identical to the M10 except for the fingerprint sensor at the back. The M20 has a fingerprint sensor while the M10 doesn’t. The build quality is equally good and the specification is even better. Galaxy M20 has a 6.3 inch 19.5:9 FHD+ IPS LCD display that will be nearly unheard of if this phone launches below the 20K price range. Inside, it is powered by Exynos 7904 Octa (14 nm) in combination with 3GB RAM. For the price range, this is a solid performer. The internal storage is 32GB but you can expand it via micro-SD card slot. As with the M10, the dual cameras at the back are surprisingly good for their price. You can watch our full review video on this phone here. The build quality of the Galaxy M10 is top notch for the price. The front of the phone is nearly edge-to-edge screen except for a small chin and a teardrop notch at the top. This phone has smaller bezels than the Galaxy A7! The back is made up of smooth high-quality plastic that is surprisingly resistant to scratches. I also like the feel of this material. It really makes the phone feel premium. All this is coming from my own experience of using the phone. The Samsung Galaxy A9 2018 comes with 6GB of RAM, 128GB of internal storage and comes with two color options: Black and Blue. It comes with Samsung’s Super AMOLED 6.3 inches display with the screen resolution of 1080×2220. On the inside it comes with mid-range specs. We have the Qualcomm’s Snapdragon 660 chipset with Octa-core processor and 6GB of RAM. Also, it has USB type C on the bottom and it does retain the headphone jack, whereas the fingerprint sensor is on the rear alongside the camera arrangement. 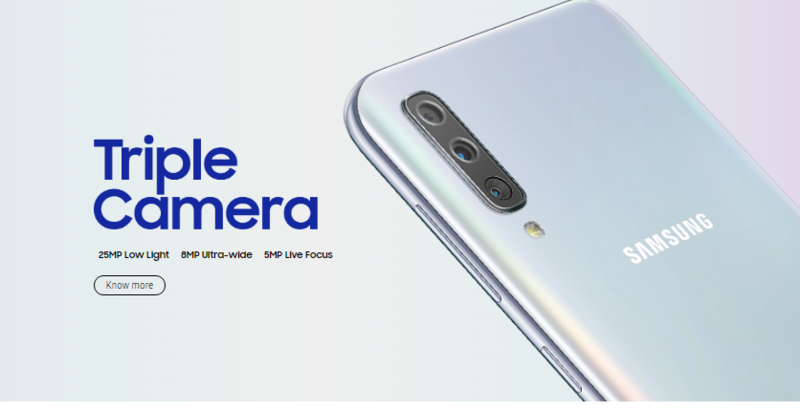 It has 4 vertically stacked rear cameras There’s a main 24MP sensor with f/1.7 aperture, an ultrawide 8MP sensor with f/2.4 aperture, a 10MP telephoto lens for optical zoom and finally a 5MP depth sensor. Samsung Galaxy A7 comes with a gorgeous 6-inch FHD+ SuperAMOLED display. Samsung’s panel are always beautiful to look at even at the budget level. Inside, the phone has an octa-core 2.2GHz Exynos chipset, and 4 GB of RAM. This means smooth day-to-day usage and competent multitasking performance. The fingerprint sensor on this phone are at the sides, embedded in the power button. This gives the phone a super-clean look on the back and the front. The phone looks and feels premium with its glass sandwich design. On the front of the device, you’ll find a single 24MP selfie shooter. The back houses a triple camera setup. This consists of a primary 24MP lens with auto-focus and a f/1.7 aperture, a 5MP f/2.2 “Depth Lens” which is used to produce bokeh effect, and an 8MP f/2.4 Ultra-Wide lens that has 120 degrees field of view. The Galaxy J2 Core is special because it is the first Android Go smartphone from Samsung. Android Go is a stripped down version of Google’s Android software made for low-powered devices. It takes significantly smaller space than normal Android OS on a smartphone. Also, the phone runs smoother due to some memory optimizations. In short, Android Go helps make the most of the limited storage, memory, and battery capacity in budget-oriented smartphones. Inside, the J2 Core offers the most basic features you could hope from a smartphone. It has a quad-core Exynos processor paired with 1GB RAM and 8GB internal storage. So, there won’t be a whole lot you can do on this phone besides calling and texting and scrolling through Facebook occasionally. However, if you are in search of a smartphone to do just that, the J2 Core might be for you. Samsung Galaxy Note 9 will have the latest flagship processor, the Exynos 9810 inside. Basically, what you need to know is, this phone costs more than one lakh, you don’t have to worry about the performance. The base model with 128GB storage comes with a 6GB RAM, and there’s 512GB version with 8GB RAM that won’t be available in Nepal. At the front, the Note 9 features the same quad-HD AMOLED display that everybody raves about. It’s the most gorgeous panel on a phone. Period. 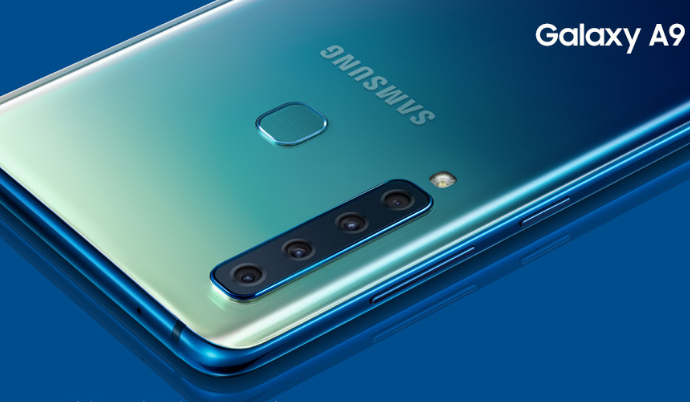 On the back, there is a dual camera setup with a variable aperture like the Galaxy S9 Plus. They have AI features like scene recognition which will optimize the color tone of your picture based on the scene. The horizontally stacked cameras make it easy to differentiate Note 9 from the S9 Plus. Other design changes include the placement of the fingerprint sensor; it now sits just below the camera modules and the heart rate sensor. 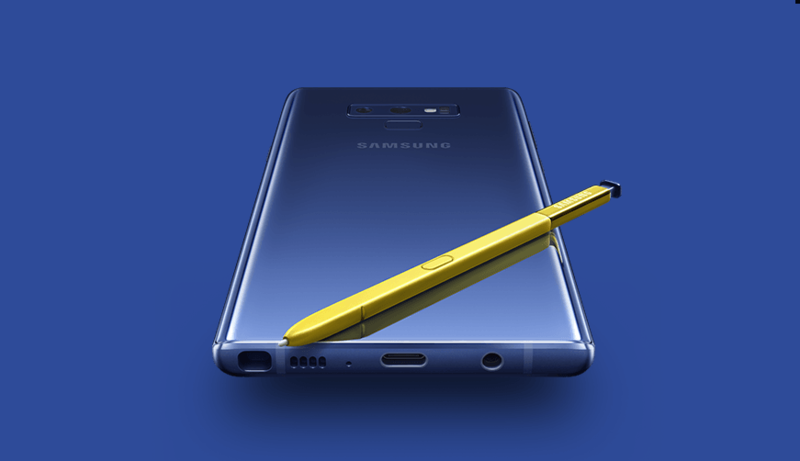 The most important changes, however, are in the battery which is now 4000mAh, up from 3300mAh on the note 8, and the S-pen which has received some significant upgrades. To know all about it read our article on the Note 9. In terms of design, J6 has Xiaomi Mi A2 lite, it’s closest rival beat. The glass sandwich design gives the J6 Plus a shiny look and a premium feel that the Mi A2 can’t deliver. The j6+ has a 6.0 inches 18:9 aspect ratio HD+ screen instead of the Full HD+ found on the Mi A2. But, Samsung’s displays offer good contrast and punchy colors even if the panels have a low resolution. On the inside, J6+ is powered by Qualcomm Snapdragon 425 (28 nm) which is just so weak for its price. This is the same chipset that phones that cost 15K use. So, seeing it here just makes me sad. The Mi A2, on the other hand, has the latest, powerful Qualcomm Snapdragon 660 chipset inside. So, if you want to do some intensive multitasking or play even small games, don’t buy the J6+. However, for normal tasks like calling and YouTube, J6+ will work just fine. The J6 has an updated 18:9 tall screen that looks modern. But the build is still plastic. We wished it were metal but plastic is what Samsung is giving us this year. he back has a single 13MP primary camera below which sits an oval fingerprint sensor. The camera, looking at past Samsung phones will deliver photos with punchy and vibrant colors. On the front, we have a 5.6-inch elongated display of HD+ resolution. Though we would have loved to see an FHD screen, we are content that the panel is an AMOLED screen. That means deeper blacks and better contrast and vibrant colors. People will like this display. With the Exynos 7870 and 4GB/3GB RAM, the performance will be what you expect from a midrange device – fluid multitasking and all but not so great gaming experience. The Galaxy J8 is just a super-sized Galaxy J6. The screen size increases to 6.0 inches from 5.6 inches. But the resolution remains the same 🙁 . They look nearly identical from the front and the back; only differentiated by the dual cameras on the J8. The cameras on the J8 on the front and back are more powerful than the ones featured in the J6. This might be the main reason for the price difference between these two phones. The Qualcomm Snapdragon 450 processor on the J8 is not the most powerful processor on a mid-range smartphone. It is an entry-level chipset from Qualcomm which we didn’t expect to see on a phone that costs Rs. 27390. But hardware is not always the key for phone’s performance. Just look at iPhones. Samsung has a way to make it’s interface feels smooth even in the Galaxy J2, so the Galaxy J8 might not be a slouch altogether. But don’t think about gaming on this machine because it isn’t made for that. Decent cameras Why LCD panel? The Exynos 7570 inside this device is an entry-level chipset which performs similarly to Snapdragon 425. So, normal daily tasks like scrolling through facebook and watching youtube videos will be smooth enough but this device is not made for gaming or intensive multitasking even if you get the 3GB version. Overall, the J4 is made for people who want something that lies just between the J2 and the J6. Samsung Galaxy A6’s screen has just HD+ resolution while most of the handsets from the competition comes with Full HD or Full HD+ resolution at this price. 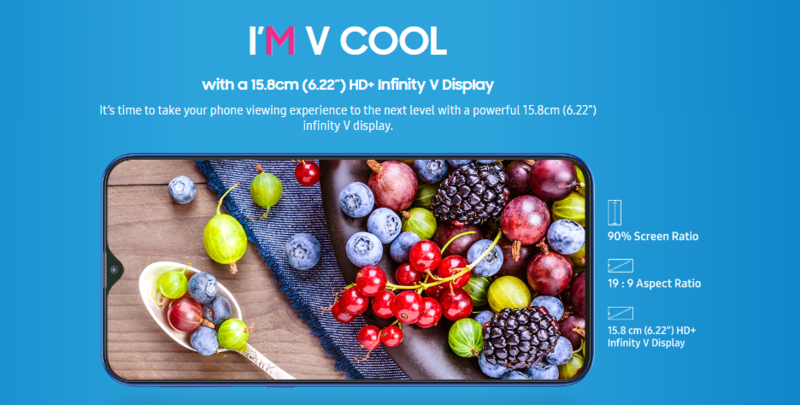 But most of the competition comes with an LCD panel, while the Galaxy A6 is graced with the super AMOLED panel which offers deeper blacks and very high contrast ratio making the image pop. Inside, the Galaxy A6 is powered by the Exynos 7870 chip which is a chipset made by Samsung itself whose performance sits somewhere between the entry-level and mid-level chipset from Qualcomm. But what you need to know is that this CPU will handle your daily task like Facebook and Instagram smoothly. It will stutter while gaming though. Thanks to the 4GB RAM, multitasking would be a breeze given that RAM management from Samsung is great. The storage is large too, 64GB is near enough for most people to live without an external SD card. The cameras shoot great photos with punchy colors in daylight. The nighttime photos may come out a little grainy but if you want the best night shots you should be looking at the Galaxy S9 Plus. Samsung Galaxy A6+, as the name suggests is a larger version of the A6. It has a larger 6.0 inch Super AMOLED screen, with higher Full HD resolution. Here, Samsung uses Qualcomm Snapdragon 450 processor instead of Exynos. So you’ll get a little performance boost over the Galaxy A6. The RAM and storage configuration has remained the same. You get 4GB RAM and 64GB internal storage, both of which are adequate in 2018. The A6+ has dual cameras on the back which capture great photos in good lighting conditions and have the ability to shoot portrait photos. 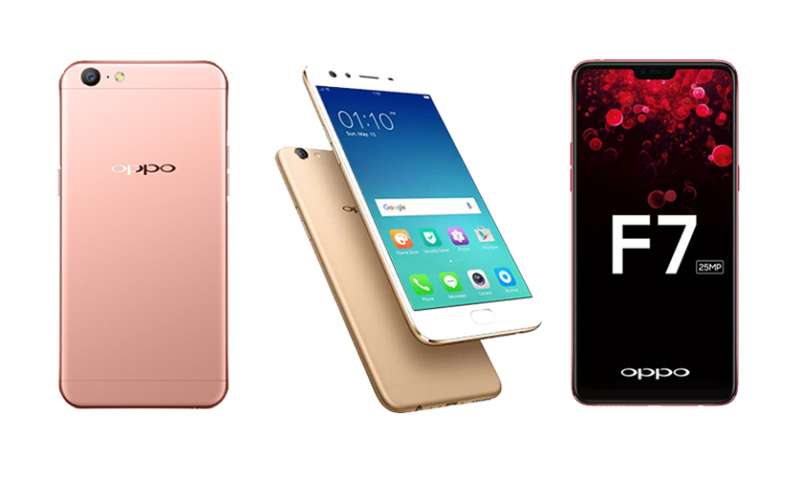 At the front, you have a whopping 24MP camera nearly matching the 25 MP found on OPPO F7. Your selfies will be sharper than a knife with this camera. Samsung seems to be playing a marketing game here. They have brought the price of the A6 and A6+ very close to each other prompting most people to buy the A6+ which is better than the A6 in every possible way and costs Rs. 6000 more. And we recommend you to fall into this trap because spending Rs 6000 extra will bring you far more joy than saving it. However, if you are comparing this samsung phone with phones from other companies in the market, it is a little underpowered. Just look at the Mi A2 for example. But if you don’t play many games, you may be more satisfied with this phone rather than the Mi A2. Samsung Galaxy S8 Plus was one of the best smartphones last year and S9+ is a marginal upgrade over the S8+. The much-criticized fingerprint sensor placement on the S8+ gets fixed in the S9+ whereas the all-new Snapdragon 845 processor is 30% faster and efficient than the 835. Considering all the changes, S9+ is a worthy upgrade if you think you most definitely need the variable aperture camera (f/1.5 – f/2.5) and the superslick 960fps slow-motion video. However, you are only getting the 64GB variant in Nepal right now and it’s not long before the S8 Plus/Note 8 get a major price drop. So, do you really need that camera? Best screen on any smartphone Bixby button? Samsung Galaxy S9 shares almost everything with the S9 Plus except the secondary 12MP telephoto lens. If you prefer a smaller device than you could go for the S9 but the S9 Plus gives you an upgraded performance with a 6GB RAM. Either way, both S9/S9 plus are a good choice. However, if you’re not much into photography you could get the Samsung Galaxy S8 at a much cheaper price. The Note Range from Samsung is the… Let’s just say this: whenever Samsung releases a Note phone, it is going to be bigger and powerful than any other phone on the market. It is going to have the best specs possible on a phone, one of the best design and of course, the feature the line is known for – the S-pen. And Galaxy Note 8 is all the things that I said. But as it has been already a year now, it is not the best badass in the market. However, for people who absolutely want the best Samsung experience and also the S-pen, this phone is the way to go. This phone will fly through every task you throw at it. It has one of the best smartphone cameras on the biz. If you have the money then you should definitely go for this smartphone. Yes! it doesn’t have the same camera as of the S9+ but it’s still one of the best. Disclaimer: The only difference between the S8 and the S8 Plus is in the screen size and the battery capacity. It probably is the most selling phone of the last year. I may be wrong but my audacity to write that sentence speaks volumes for the greatness of this phone. When this phone debuted in 2017, we were just in awe of how beautiful this thing was. It was more of an art piece than a phone. That still hasn’t changed. This phone still looks and feels stunning. But that doesn’t mean it skimps on power. A beast inside the beauty – the Samsung Galaxy S8 was the best performer of 2017 when it came out, and it still easily bests the latest games available in the market. The Galaxy S8 has one of the best smartphone cameras on the market, the best screen on the market (it’s bested by the Samsung Galaxy S9 by a small margin), ample RAM and storage and good enough battery life. This was a near perfect phone albeit one small problem. The placement of the fingerprint scanner was not ideal but this has been fixed in the new S9. Other things we have to find to complain about are: it lacks stereo speakers (Galaxy S9 has it) and I don’t know – the Bixby button? If you want a smartphone with the best design and one of the best performances, you should buy this phone. 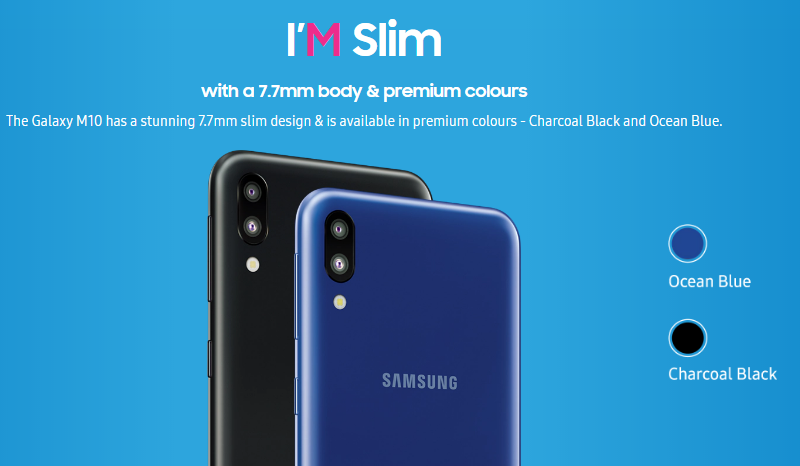 Samsung Galaxy J7 Prime 2 was launched in March of 2018. So, it’s still fresh and will probably continue receiving software updates for some time into the future. This update to the Galaxy J7 Prime was inevitable. And we like the changes and upgrades Samsung has made. The 5.5-inch FHD screen hasn’t changed. The resolution is good enough and the quality of the panel is great. The processor seems to be unchanged but has probably been optimized for newer Android Version. What has increased is the size of RAM which is now 4GB and a good size for 2018. Also, the front camera has been improved. The resolution has been increased to 13 MP sensor. Selfie lovers would like that very much. The primary camera, though unchanged, still clicks great pictures. You won’t be much disappointed with it. The Galaxy J7 Prime 2 is a great all-rounded phone that ticks most of the boxes for the things people want in a mid-range smartphone. Samsung Galaxy J7 Prime is nearly 2 years old now. But it’s PLS screen is one of the best in the price range even today. The performance is decent. Inside lies the Exynos 7870 Octa-core processor and 3 GB of RAM. They are snappy enough for normal tasks like calling and Facebook. The battery life on this phone is great too. It will surely last you all day. The J7 Prime has a single 13MP camera on the back that clicks bright photos even in low-light that looks great on its AMOLED screen. There are a great many reasons to buy the Galaxy J7 Prime but we are wary of recommending it to you with full confidence because of its age. It may not receive software updates anymore and the phone may slow down as it ages more. You should look at other options such as the Xiaomi Redmi 5 Plus and the excellent Xiaomi Mi A1 before making your decision. Looking at the specs, the Samsung Galaxy J7 Max is a surprisingly good phone for the price. It has a full HD PLS display. PLS displays are LCD displays made by Samsung which are, according to Samsung, similar to IPS displays but better. The Helio P20 provides enough power to glide through day-to-day tasks like calling, Facebook, and YouTube. It might handle even some games but don’t expect to get the best frame rates because you are not paying for them. The cameras click great photos in daylight. And low-light shots are decent too. We also love the inclusion of a 4GB RAM which gives you ample room for multitasking. This phone is very well-rounded. Even the battery life is good. You can expect to last it a full day. The only gripe we have with this phone is that it doesn’t use an AMOLED panel. Despite that, we can recommend this phone to you if you are coming from a Samsung phone in the past, or even if this is your first phone. Samsung Galaxy J7 Pro is a great phone with some compromises. The inclusion of an AMOLED screen instead of a PLS or an IPS panel gets a big thumbs up for us because AMOLED screen has deeper blacks and more vibrant colors than a normal LCD display. The 13MP sensor on the front with flash is a nice inclusion for people who love selfies. Now, the 3600mAH battery is also a little larger than other offerings from Samsung like the Galaxy J7 Prime 2, which paired with an AMOLED screen, should give you a great battery life. However, not all aspects of this phone is an upgrade over phones from Samsung in this price range. Weirdly, Samsung chose to include only 3GB of RAM on this phone which is weird because some Samsung phones that cost lesser have more RAM. But if the RAM management is good, we have no complaint. It is great that they didn’t skimp on the internal storage – the 64GB of internal storage is more than enough for most people. Surprisingly, the Samsung Galaxy J7 Neo was released in 2017. But it looks like a phone of 2015 with is faux metal back that resembles the look of Samsung Galaxy S5. However, if you can get past its looks, the Galaxy J7 Neo offers specs worthy of a midrange device. As the phone was released in 2017 and made by Samsung, you won’t have a problem with the performance from the Exynos 7870 Octa-core processor. However, the 2 GB of RAM is on the low side. We encourage you to go with the 3GB model. The camera performance is decent. Selfie lovers would like the inclusion of the front flash for the night time selfies. And the battery life probably would be great too. But we don’t like the exclusion of a fingerprint sensor which is a very important feature people expect at this price. You should look at something like the Huawei Y7 Pro, or the Xiaomi Redmi 5 for a better value. The A line in the Samsung Galaxy series sits just below the S and the Note line of phones in the tier of premium-ness. As you can see, they too have an updated 18:9 aspect ratio and Super AMOLED screen. But the curves present in the Galaxy S8 is toned down here to give it a flatter look. Also, this phone uses a midrange processor from Samsung which would be great for normal multitasking but not so potent for gaming. The camera on the back clicks lively photos at daylight but has some tendency to underexpose sometimes. On the low light, the camera struggles to deliver good shots. The selfies, however, are crisp, thanks to the Dual camera setup on the front that can give you portrait effects for your selfies. Overall, the A8+ is a great phone but a tad more expensive than we would like to be. If you shell out a little more, like say, Rs. 5000, you can get a OnePlus 5T for your money which obliterates the Galaxy A8+ in terms of performance. So shop around. Samsung Galaxy C9 Pro, as the name suggests is a bigger version of the Galaxy C7 Pro. The screen size is now 6.0 inches. The RAM is now 6GB. 4GB is still plenty enough for most people, for even the most intensive tasks. So this shouldn’t be the sole reason for you to buy this phone instead of the C7 Pro. The battery capacity is 4000mAh which makes sense: larger display, more RAM means a need of larger battery. Apart from the above-mentioned differences, all other specs are the same. The processor is the same Snapdragon 626 and the internal storage is the same 64GB. The camera setup is the exact same too. SO, what it all comes down to is your screen size preference. If you like the bigger screen, go for the C9 Pro. But remember that you are paying 10000 more for just the screen, and a small increment in RAM. You could buy a brand new Nokia 8 with far better specs than this phone for 10K less. Even the amazing Xiaomi Mi 6 is cheaper. 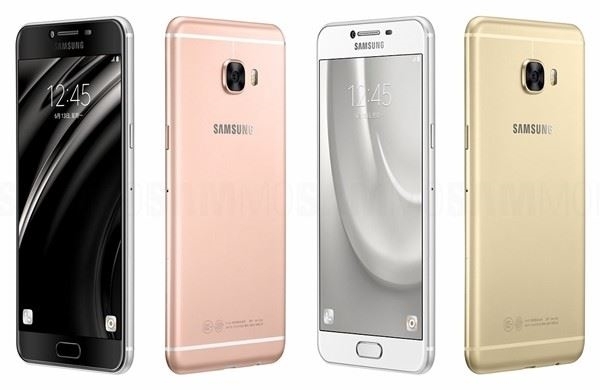 Samsung Galaxy C7 Pro is nearly similar to the Samsung Galaxy J7 Pro albeit with some minor differences. And whether those minor differences are enough to shell out nearly Rs. 9000 more on this phone is entirely up to you. The C7 Pro has the same Super AMOLED display as on the J7 Pro, though a little bigger. Thier processors have similar performance. But the C7 Pro has 4GB RAM instead of just 3GB RAM on the J7 Pro. Also, you can expect the camera performance on the C7 Pro to be better with its 16Mp cameras on the front and the back. This is a step up from the 13MP cameras found on the J7 Pro. But that is where the differences end. They both use TouchWiz on top of Android. So, the software experience is similar. The C7 Pro is a great phone but with phones like Nokia 8 that have flagship level processors available at the same amount, it is better for you to shop around. You may get a better deal. Samsung galaxy On7 Pro is now nearly two years old. And it was released as a budget handset two years ago. So you know what its performance would be like today. To put it gently – not so great. If you are looking for a phone at around 15,000 or less, take a look at our list of 10 best smartphones under 15K to make the right choice. This is probably the most used Samsung phone in Nepal. The go-to phones for most budget users have been updated for 2018 and we thank Samsung for that. The upgrade to the RAM and Storage are very welcomed and necessary for the phone to justify its price. With larger RAM and an updated processor, the performance of the phone is sure to improve. The camera modules have seen an improvement in this iteration of J2 but don’t expect these to blow you away. The major improvement would probably in the battery department. The jump to the 2600mAH cell, an updated Android 7.1 Nougat, and the same power-sipping screen and a very power-efficient chip, are sure to increase the battery life of this phone by quite a large margin. Samsung Galaxy J2 is a good phone considering the price. But it faces stiff competition from phones like Huawei Y7 and Xiaomi Redmi 5A on the budget market. This phone was released in mid-2017, so it still performs admirably (for a budget smartphone). But Samsung just refreshed the J2 for 2018 and that phone has nearly the same specs for a similar price. The J2 2018 has a more reliable and better performing Snapdragon 425 processor. We recommend ditching this older model and buying the J2 2018 if what you want is a Samsung phone on a budget. But if Samsung is not your only priority there are plenty of great phones under 15000 that you could consider. Take a look at our list of best phones under 15K. Samsung Galaxy J2 2016, as its name suggests, was launched in 2016. So a two-year-old budget handset can’t get a go-ahead from us. The RAM is insufficient and the storage is just not enough for storing more than 3 apps. Performance obviously suffers because: 1) it is a budget handset; 2) it is old. So buy something new like the Galaxy J2 from 2018 or check out the likes of Xiaomi Redmi 4A that give you far more than what Samsung is offering you at this price. And if you have a little room to stretch, don’t forget to check out our article on the best phones under 15K list. What I said for the Samsung Galaxy J2 2016 holds true for the J2 ACE too. They have similar internals. The J2 2016 seems to be more powerful. The cameras on the J2 Ace will be just terrible. And it would perform very poorly compared to other budget handsets available at this price. There is no reason for us to consider recommending this phone. There’s no reason to buy this phone for you as phones like Xiaomi Redmi 4A or the Huawei Y5 exist in 2018 which give you a great performance to price ratio. This phone that was released in 2015 is already 3 years old and when we don’t dare recommend its successor, the J2 2016, we just can’t recommend this phone to you. Shop elsewhere. Why would you buy this phone? If you want to spend somewhere around 8000 on a phone buy an old phone or a bar phone and save some money. Android 5.1 in today’s day and age is just not worth it. You won’t even be able to call properly because this phone would perform so poorly. If you already own a Samsung phone and are searching for a service center, then following are some of the Samsung service centers in Nepal. On the mid-range, we like the J7 Prime 2 for the value it offers. 4GB RAM and 32GB of storage was a good combination though 64GB would have been better. For the budget phones though, we tend to prefer phones from other Chinese manufacturers like Xiaomi and Huawei as they offer a far better value than Samsung. Same can also be said for the mid-tier. These were our thoughts on Samsung phones in Nepal. Do you like Samsung phones? Do you have any of these phones we mentioned? How is/was your experience with it? Was the performance not as smooth? How was the camera? Please feel free to express your thoughts in the comments section below. We highly appreciate your comments and suggestions.